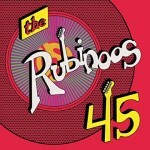 It’s spooky how good the Rubinoos sound in their 45th year as a band. Jon Rubin’s lead vocals are still sweetly youthful, songwriter Tommy Dunbar continues to mine a seemingly inexhaustible supply of melodies, and the quartet’s harmonies are as tight as ever. The current line-up features long-time bassist Al Chan and original drummer Donn Spindt, and are nearly indistinguishable from the group that was featured in the pages of Tiger Beat magazine. Still, there’s plenty of pure pop, including Al Chan’s tender vocal on “You Are Here” and an a cappella cover of Lou Christie’s “Rhapsody in the Rain.” The latter is highlighted by Jon Rubin’s falsetto and a bass vocal from The Mighty Echoes’ Charlie Davis. 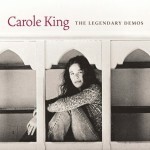 The band’s doo-wop and garage roots cross paths in “I Love Louie Louie,” and Dunbar’s affinity for the Beatles, by way of Erie, PA’s Wonders, is heard in his 12-string laden original “That Thing You Do.” Originally pitched for the film, the demo (sung by Dunbar and Chan) has been spruced up with Donn Spindt’s drums. Although pop music was a key element of American International’s beach party films, it was surprisingly elusive on record. 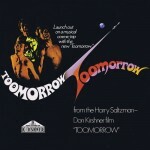 Perhaps the value of cross-marketing hadn’t yet fully developed by the mid-60s, as the music from these films was only spottily released as singles and album tracks, often in studio versions that differed from those featured in the film. In fact, this cast album for How to Stuff a Wild Bikini is the only original soundtrack recording released in conjunction with any of the seven AIP beach party films, but it’s an excellent example of the musical variety offered by the films. 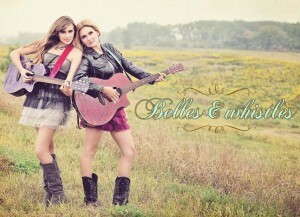 The bulk of the soundtrack is taken up by group and novelty numbers that gave the film a lot of its flavor. Harvey Lembeck lays on a broad Brooklyn accent for his turn as Eric von Zipper singing “Follow Your Leader” and the ironic “The Boy Next Door,” and guest stars Mickey Rooney and Brian Donlevy each get campy Broadway-styled songs. Co-star John Ashley, who’d recorded rockabilly in the ’50s, leads the cast on the title theme, the country-rocker “That’s What I Call a Healthy Girl” and the closing “After the Party.” The latter is particularly effective in communicating the film’s idealized summer beach mood. The Kingsmen close out the album with an original garage-rock tune, “Give Her Lovin’,” and a drums-and-organ take on the title theme. 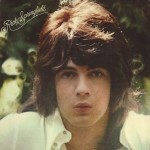 By the time that Rick Springfield hit it big as a pop star, with 1981’s “Jessie’s Girl,” his fame as an actor all but obscured his very real roots as a musician. But a decade before topping the U.S. charts, Springfield was a working musician in the rock band Zoot (on whose heavy cover of “Eleanor Rigby” a young Springfield can be seen playing guitar) and a solo artist with a Top 10 hit in Australia. 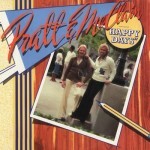 A reworked version of that hit single, “Speak to the Sky,” reached the Billboard Top 20, and took this debut album into the Top 40. The 1981 view of a dilettante actor dabbling in music is wiped away by this record of his earlier work, for which Springfield wrote ten original tunes, sang and played guitar, keyboards and banjo. Springfield’s songs and the production sound are heavily indebted to late ‘60s and early ‘70s rock, particularly the bass, drums and piano sounds of the Beatles, Badfinger and Big Star. The album mixes deeper numbers with bubblegum, showing Springfield’s voice to work well in both heavy and light arrangements. “The Unhappy Ending” anticipates the histrionics of Queen (and presages the opening of “Killer Queen”), while the happy-go-lucky (but war-tinged) “Hooky Jo” sports hooks worthy of Kasnetz-Katz and Graham Gouldman. Springfield’s infatuation with Paul McCartney is evidenced by the album’s chugging beats, but there are notes of soul, country-rock and pop. 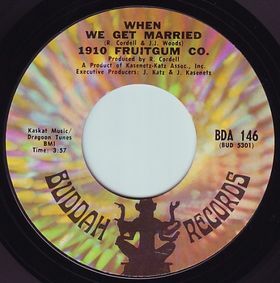 It’s hard to believe that the bubblegum group that hit with “Simon Says” and “Indian Giver” also produced one of the greatest Phil Spector tributes of all time, “When We Get Married.” Their last single for Buddah, it barely bubbled under at #118 in 1969, and marked their last chart appearance. But 40+ years later, it still packs an incredible Spectorian wallop thanks to Richie Cordell’s take-no-prisoners production.